Meet Robert Donaldson, son of our founding attorney, Rob. 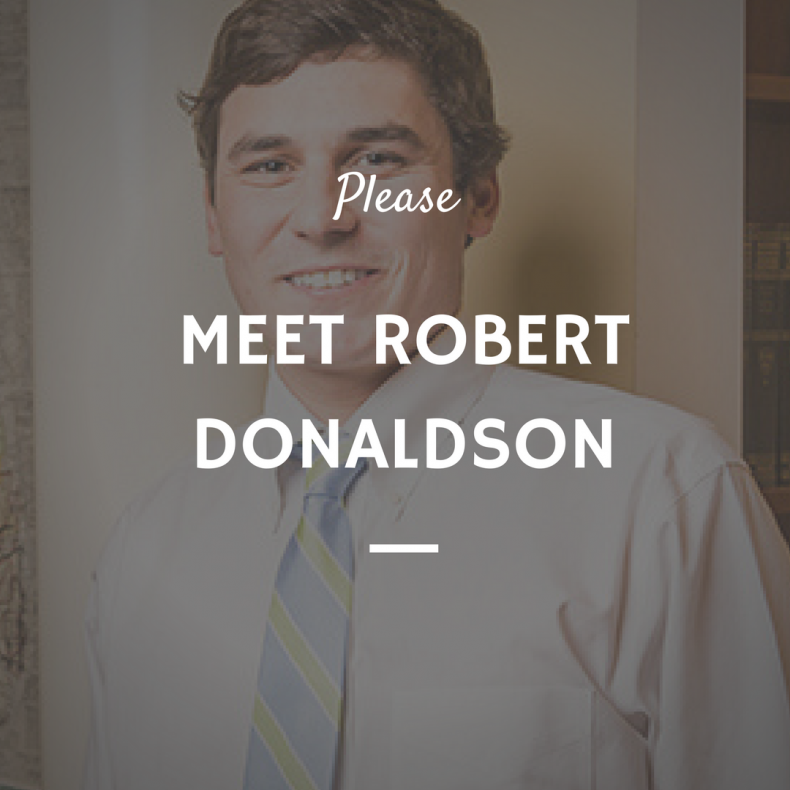 Robert is an attorney at Donaldson Law Firm, so you may have seen him around the office. Robert was born and raised in Charleston, and received his Bachelor of Arts degree in History, with a minor in Government from Wofford College in 2011. After graduation, Robert enrolled in the Charleston School of Law, where he was named to the Dean’s List and received the CALI Award for Academic Excellence in Federal Courts. He also served on the Federal Courts Law Review Journal and spent a summer as an extern with the City of Charleston Legal Department. After passing the South Carolina Bar, Robert joined his father as an associate attorney at the Donaldson Law Firm in 2014. He lives in Mount Pleasant and is a member of the South Carolina and Charleston County Bar Associations. Robert says he most enjoys working with first time buyers and sharing the excitement and experience of helping people buy their first homes. I went to Israel for three weeks in college, which was an amazing experience, also to Newport Beach, California last summer with friends. Anything on the water – taking the boat out with friends. If you weren’t an attorney, what would be your other dream job? It’s your birthday dinner – where will we find you and what are you eating? Best part of living in Charleston? Favorite spot in Mount Pleasant to relax? Thanks for letting us get to know you better, Robert. We’ll see you on the water.